GARDAÍ ARE INVESTIGATING after a man in his 40s was killed in a house fire in west Cork. Gardaí were called to a property at Shanagh in Dunmanway shortly after 10.30am this morning, after receiving a report that a house was on fire in the area. Emergency services were contacted and the body of a man, who is in his early 40s, was discovered. In a statement, a garda spokeswoman said investigators were still at the scene and that a full technical examination is under way. Investigations into the incident are ongoing, and any witnesses are being asked to contact Clonakilty Garda station on 023-8821570. Email “Gardaí investigate after man (40s) killed in house fire in Cork”. 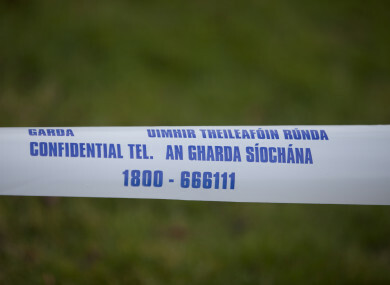 Feedback on “Gardaí investigate after man (40s) killed in house fire in Cork”.